housing societies and hotels in the area to conduct an audit of the electrical equipment, and connections in their respective premises as security measures The measure comes in the wake of a recent incident of fire following a short circuit in a high-rise. Commissioner of G / South ward, Devendra Kumar Jain said, "Loose loose wire of electricity, communication, power supply among others should be covered by a conduit." He said that the joints of electric wiring should be immediately rectified if found faulty. "Short circuit and faulty electrical systems often lead to a fire. Most of the time, it goes unnoticed as they are small. But, sometimes this small fire turns fatal," said Jain. The hotels and restaurants have also been warned that if any unauthorized structures were found beyond the originally approved plan of construction, they should be demolished. 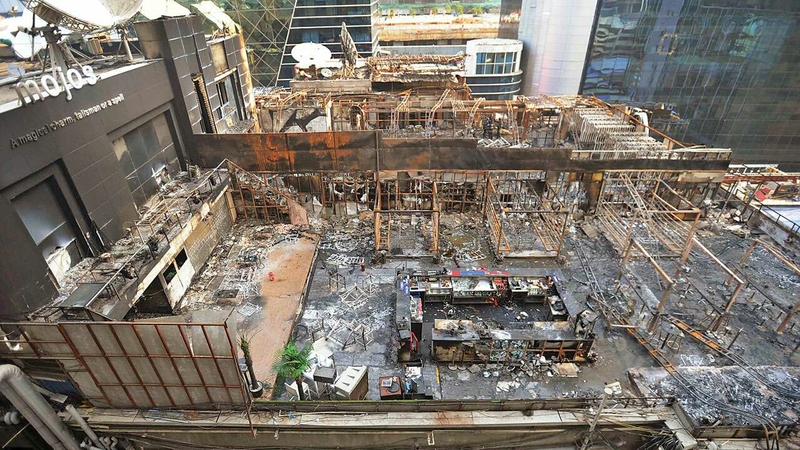 "If any untoward incident happens due to negligence, the owner of the establishments will be held responsible fully," said a senior official of the Mumbai fire department. The civic body has also advised residents to get an electric fitting, conduits of gas, outdoor panels of air conditioning among other works.